At the beautiful sea side village of Lendas at the south of Crete you could find the newly build Pantheon Studios complex. It is located just 900 metres from the sea (10-15 min walk), on the hill side with a magnificent view over the Lendas Bay. The Pantheon Studios consists two buildings and each room has its own balcony for you to sit and relax watching the panoramic sea view. The complex has its own private parking and garden. It is close to the beach and the taverns, so with a short walk you could enjoy the benefits of the quite and scenic village of Lendas. 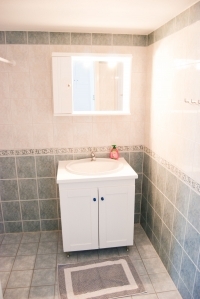 The studios are spacious and well equipped even for longer visits. 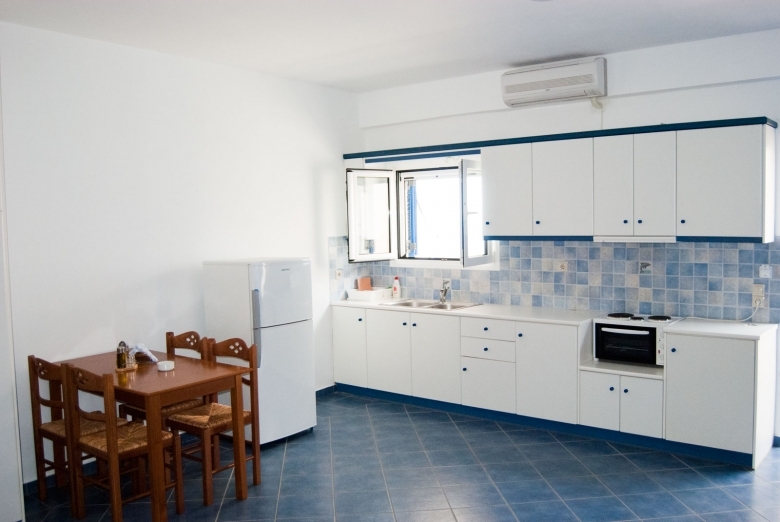 All studio rooms have a table, chairs, and a well equipped kitchen. The kitchen has refrigerator, cooker, oven, kitchenware (pots, pans, plates, spoons forks, knives) so you will be able to prepare your own meals. Furthermore each studio has a large fitted wardrobe, a hairdryer and an iron. In addition there is a 32inch LCD TV with satellite decoder in each studio room. 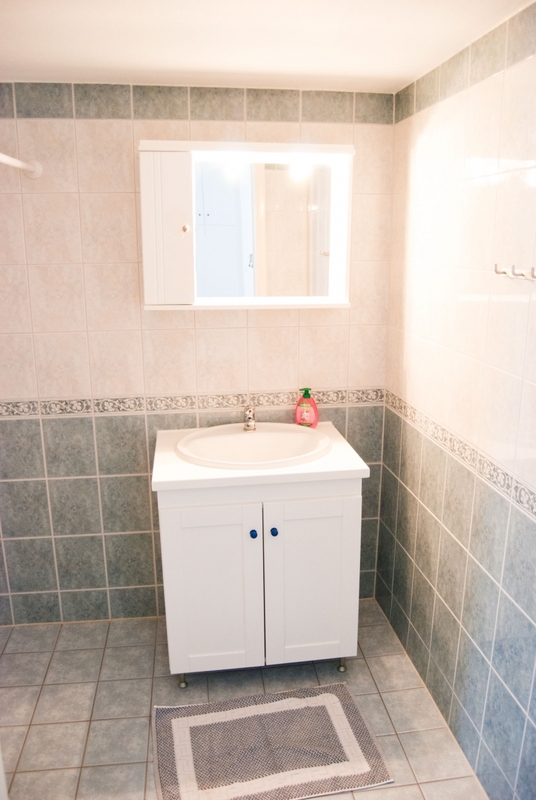 The bathroom is spacious with new sanitary articles. The studio complex has satellite internet wireless connection for you .net needs. The adsl technology is not available in the Lendas village so the Pantheon studio’s have installed a two-way satellite internet with 3mbit download 512kbit upload. 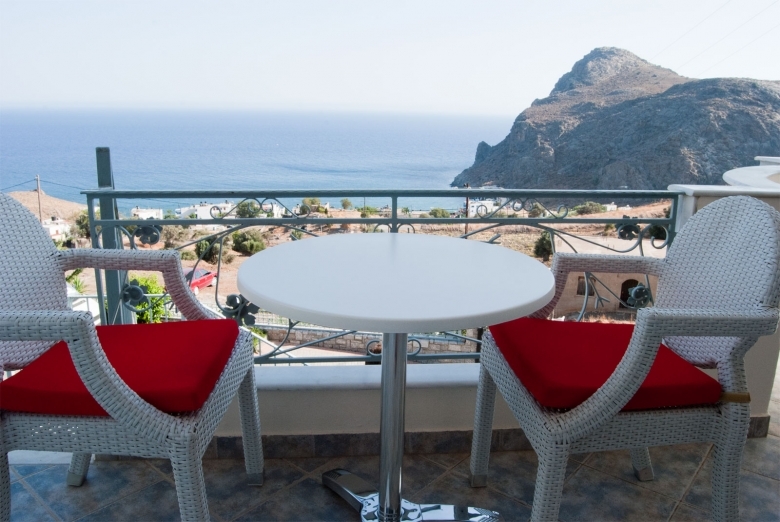 Finally the Patheon Studio will do its best to ensure that you will have peaceful and relaxing vacations in our beautiful area of Lendas in Crete.